A charming and beautiful property situated closely to a major piste and within walking distance from town. 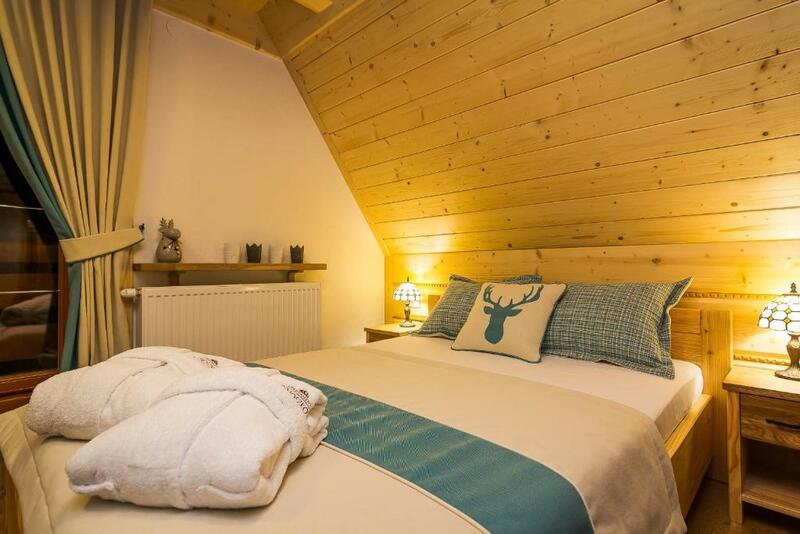 An affordable and charming room with a great shower and easy access to facilities. Sauna was fantastic and host happy to help whenever. Ideal for couples. Booked for the Christmas holiday. Lovely and beautiful apartments. Excellent service, good location. Recommend. Wonderful vacation in a beautiful place. Will definitely return. Pani Magdalena Thank you very much. Merry Chrismas! What a place!! 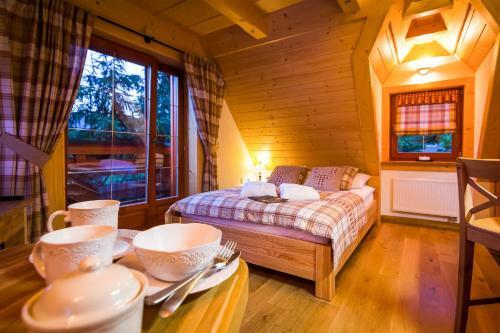 Really pretty and tucked away with fantastic mountain views from every window! The hostess was really helpful and friendly and she kept the place so clean. Me and my partner will most definitely be visiting again as we fell in love with it so much. Everything was great, nice welness, nice room and our host was really kind. We are really looking forward for next visit. The host was really friendly and helpful. The apartment was clean and quite spacious. The garden was well kept and had space for kids to play. 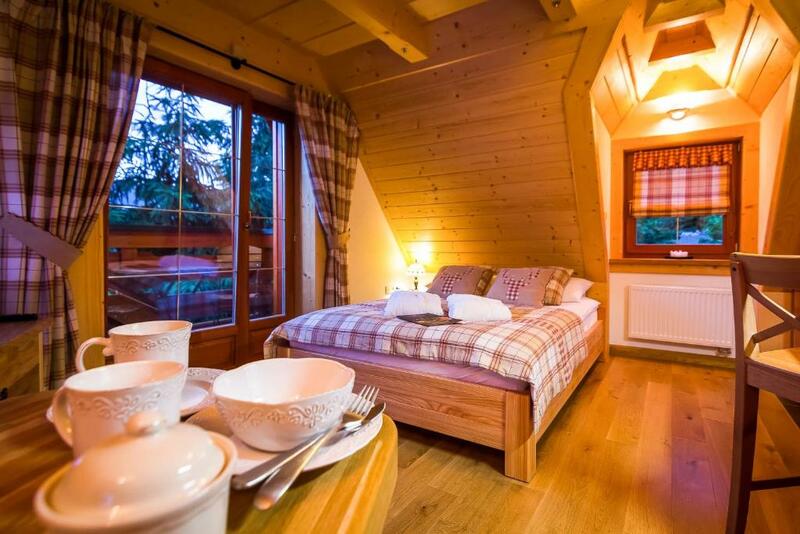 Lock in a great price for Rezydencja Na Szymoszkowej – rated 9.5 by recent guests! 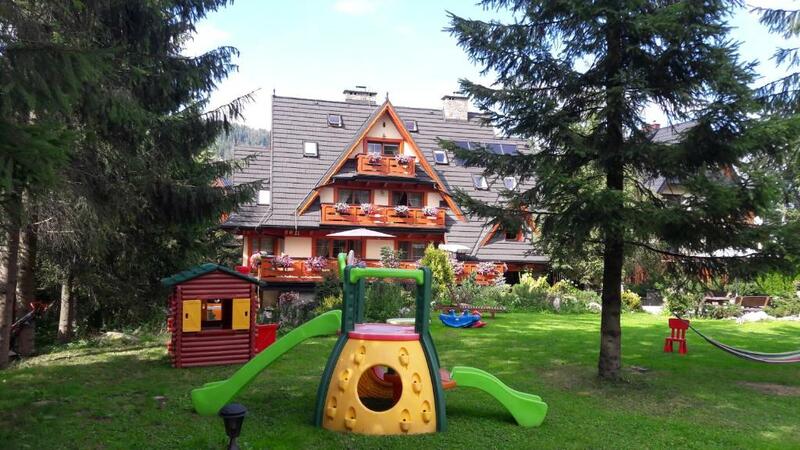 One of our top picks in Zakopane.Rezydencja Na Szymoszkowej is has accommodations with barbecue facilities and free WiFi in Zakopane, a 14-minute walk from Szymoszkowa Ski Lift. Units are equipped with a flat-screen TV, a kitchen with a dining area, and a private bathroom. A fridge is also offered, as well as a coffee machine and an electric tea pot. A playground is available on site and skiing can be enjoyed within close proximity of the property. Tatra National Park is 1.8 miles from Rezydencja Na Szymoszkowej. John Paul II International Kraków–Balice Airport is 71 miles away. 뀐 Located in the top-rated area in Zakopane, this property has an excellent location score of 9.2! 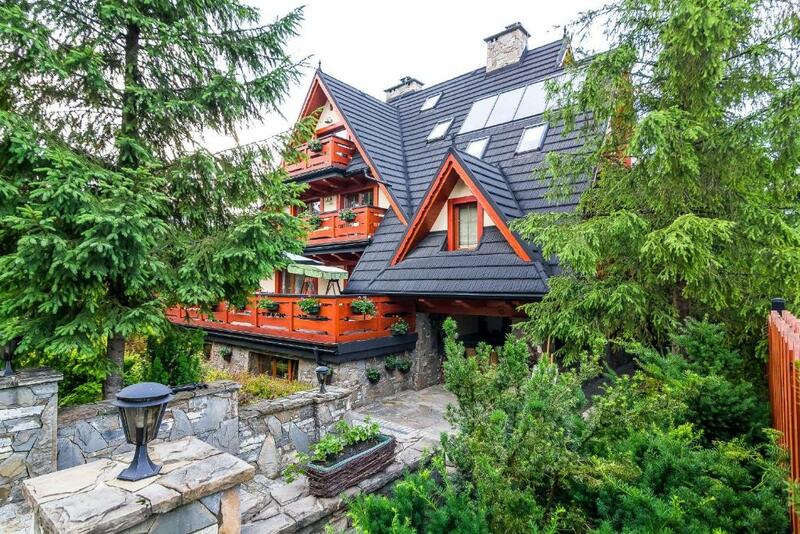 When would you like to stay at Rezydencja Na Szymoszkowej? 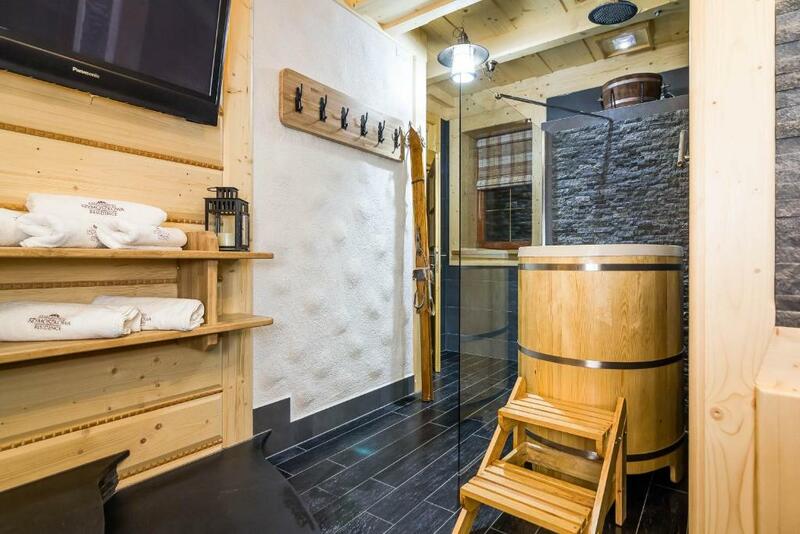 This apartment has a electric kettle, stovetop and bathrobe. This apartment features a bathrobe, kitchenette and electric kettle. This apartment has a kitchenware, kitchen and bathrobe. This apartment features a dining area, kitchenware and stovetop. This apartment has a mountain view, stovetop and flat-screen TV. Oferujemy Państwu sześć funkcjonalnie zaprojektowanych i ekskluzywnie wyposażonych apartamentów, przystosowanych do wygodnego i komfortowego wypoczynku od dwóch do pięciu osób. Są one znakomicie wyposażone. Piękna łazienka z prysznicem lub wanną, kompletnie wyposażony aneks kuchenny, wygodne łóżka, fotele, telewizor LCD 32 lub 40” z dostępem do 24 kanałów na ziemnej telewizji cyfrowej, to standardowe wyposażenie każdego z nich. Pomieszczenia wykończone są w drewnie z użyciem najlepszych materiałów. 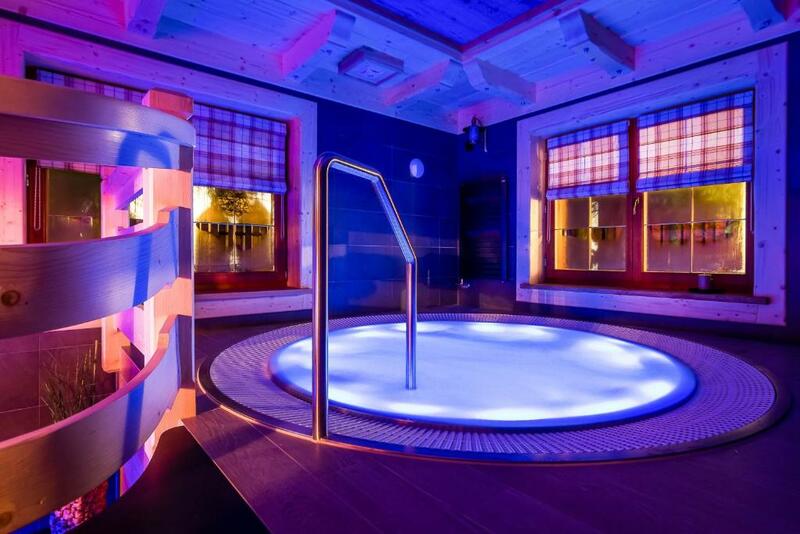 Nasi goście maja niegraniczony dostęp do domowego SPA wyposażonego w duże, rodzinne jacuzzi i dwie sauny - dużą fińską oraz mniejszą parową.Obiekt jest monitorowany. Dla gości duży, wygodny, ogrodzony i oświetlony parking. Budynek położony jest w ścisłym historycznym centrum Zakopanego. Od dolnych Krupówek dzieli nas 700 metrów. Kilkunastominutowy spacer w stronę Krupówek pozwoli Państwu docenić uroki zakopiańskiej „starówki” - pięknej ulicy Kościeliskiej. Zabytkowe zagrody góralskie, Willa Koliba, Stary Kościólek, Cmentarz na Pęksowym Brzyzku to zabytki najwyższej klasy. Charakter zabudowy i niepowtarzalna atmosfera tej ulicy dostarczą Państwu niezapomnianych wrażeń. Położenie budynku pozwala na łatwy dostęp do różnorodnych atrakcji sportowych i turystycznych. Z jednej strony bliskość Gubałówki z jej największymi atrakcjami - kultowa kolej linowo terenowa, wyciągi krzesełkowe Szymoszkowa i Butorowy, odkryty basen geotermalny oraz piękne trasy spacerowe. Z drugiej strony Tatry z górującym masywem Giewontu. W niedalekiej odległości najpopularniejsza tatrzańska trasa spacerowa - „ścieżka pod Reglami” oraz wejścia do popularnych dolin Strążyskiej i Małej Łąki. W pobliżu apartamentów znajduje się przystanek autobusowy umożliwiający łatwy dojazd do innych atrakcyjnych terenów położonych w pobliskich miejscowościach (Kościelisko, Witów, Chochołów). House Rules Rezydencja Na Szymoszkowej takes special requests – add in the next step! Rezydencja Na Szymoszkowej accepts these cards and reserves the right to temporarily hold an amount prior to arrival. Please note that spa is open from 17:00 to 21:00 upon request. Please inform Rezydencja Na Szymoszkowej of your expected arrival time in advance. You can use the Special Requests box when booking, or contact the property directly using the contact details in your confirmation. Room is cozy so a 4 night stay was a good amount of time. It might feel a little too small if you're staying for longer. Great place, check out maybe a bit early. The only thing I can criticise is the double bed was too firm ! SPA is not open from 17-21 but is opened upon earlier request. Unfortunately in our case this early announcement system was not working so it was difficult to use SPA. The room wasn't cleaned. The fridge was stinking like a skunk. Both soap dispensers weren't working. The SPA wasn't open. They told us a few days before. BUT instead of SPA we got a bigger room with a nice bathroom. VERY CLEAN and modern. Parking was perfect! A sofa would be appreciated, the current setup does not have much space to hang out. Didn’t dislike anything! Just needed more toilet roll and bin bags in the room. Magdalena the host met us upon arrival, she was so nice and friendly. She let us choose our rooms because there was a late cancellation, which was really nice. The apartments are absolutely gorgeous and probably the cleanest place I’ve ever stayed in! The furnishings were such nice taste and it literally looks like it’s just been decorated. There’s a lovely smell as you walk through the door too. There is a cute spa with sauna steam room and jacuzzi. We went there to relax every day after skiing. 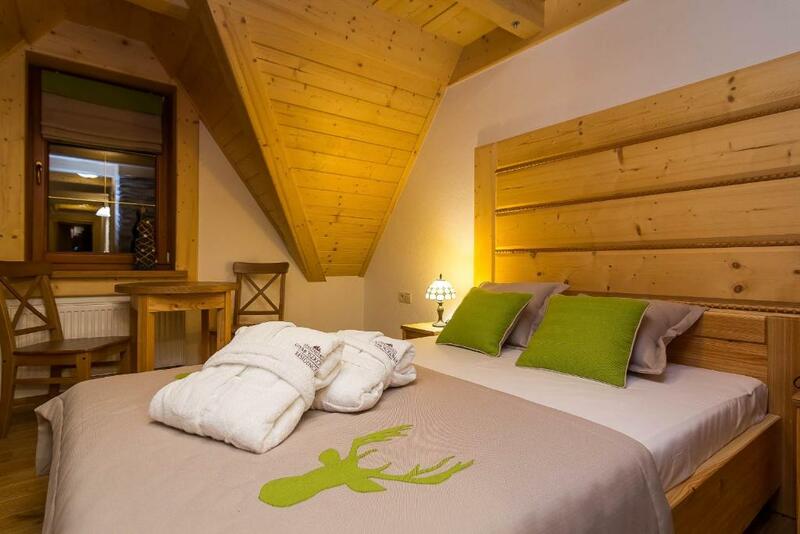 The location is fabulous, taxi ride for 10-15 mins from nearly all the great slopes. Town is just 5mins in a taxi or if you fancy a walk, 25mins and you’re there. Magdalena was so helpful, she gave us some tips and useful info on the slopes as it was our first time in Poland. Mountain view from nearly all the rooms and cute balcony. Honestly couldn’t have asked for a nicer stay.